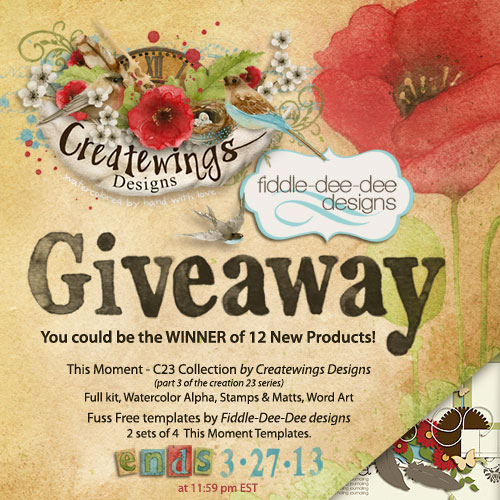 Fiddle-Dee-Dee Designs: Fiddle-Dee-Dee Designs & Createwings Designs GIVEAWAY!!!! Fiddle-Dee-Dee Designs & Createwings Designs GIVEAWAY!!!! I'm delighted to share with you today a new giveaway featuring not only the two new template sets I'm releasing on March 29th, but also the new products that Createwings Designs is releasing on the 29th as well! It's so super easy to enter the giveaway~ just click on "ENTER TO WIN" below and that's it! The giveaway ends March 27, 2013 at 11:59 pm EST/10:59 pm CST. Createwings Designs is offering the same giveaway on her blog as well, so make sure you pop over there to enter her giveaway too. I mean, seriously, the collection is gorgeous and I just love way the templates turned out as well. 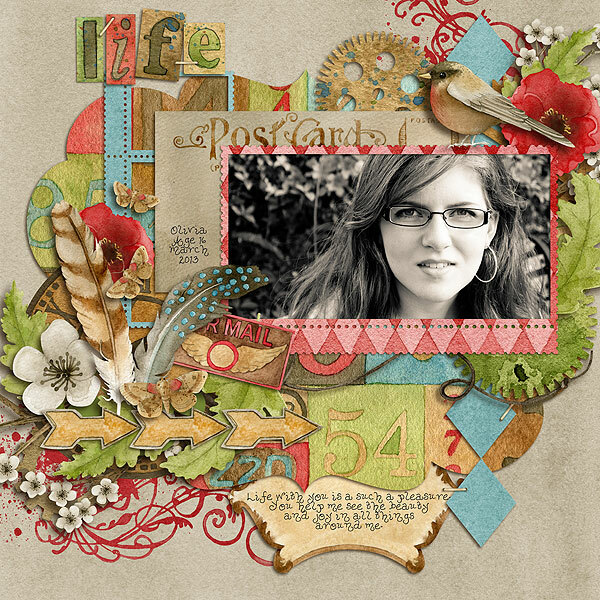 This kit and my templates are a match made in heaven, I tell you! Thanks for the chance to win!! It looks beautiful!! Boy howdy! That's some kind of gorgeous. Can't wait to see the whole thing! Thanks for the chance to win, looks fantastic! Thanks for the opportunity to win Cheryl! Wow, I just LOVE that Lo you picture! Outstanding! I don't do facebook but this kit combined with your templates looks just beautiful. Beautiful ...I LOVE these kits! I LOVE rafflecopter, so easy! Thank you so very much for this amazing chance. I have not had ANY good lucky, so I think I am due. I hope this is my week!!! Thanks so much for the chance to win, Cheryl! I can't wait to see it all!